Draft: 2012, New York Mets, 12th rd. Robert Whalen…resides in Kissimmee, FL…attended Haines City (FL) High School…selected in the 12th round of the 2012 MLB First-Year Player Draft…had committed to play baseball at Florida Atlantic University. Seattle Totals - Was 0-1 with 6.14 ERA (5 ER, 7.1 IP) in 2 games, including 1 start with Seattle... Up & Down - Three stints with Seattle: June 17, May 6 & May 24-28... Spot Start - Took loss as starter May 27 at Boston (5 ER, 5.1 IP)... Tacoma Time - Was 0-7 with a 6.58 ERA (39 ER, 53.1 IP) with 43 strikeouts in 10 starts with AAA Tacoma... DL Stint - Began the season on the 10-day disabled list with right shoulder inflammation before being activated and optioned to Tacoma on April 27... Down Time - On restricted list July 5-Oct. 26. Totals - Went 1-2 with a 6.57 ERA (18 ER, 24.2 IP) with 25 strikeouts in 5 starts with Atlanta...First Win - Earned win in MLB debut, Aug. 3 vs. Pittsburgh (5.0 IP, 4 R, 5 K)...Injury - Placed on 15-day disabled list Aug. 25 with right shoulder fatigue and transferred to 60-day DL on Sept. 17...Starters - Began year with AA Mississippi, going 7-5 with 2.49 ERA (28 ER, 101.1 IP) with 94 strikeouts in 18 starts...Strong Finish - Over his final 10 starts with Mississippi (5/22-7/11), went 5-1 with a 1.62 ERA (11 ER, 61.0 IP) with 58 strikeouts...Leaderboard - Among Southern League leaders, he ranked 15th in strikeouts (94)... Promoted - After promotion to AAA Gwinnett on July 14, went 0-1 with a 1.93 ERA (4 ER, 18.2 IP) with 18 strikeouts and 7 walks in 3 starts...Award Worthy - Named Mississippi Braves Pitcher of the Year. Split season between New York-NL & Atlanta organizations, combining to go 5-7 with a 3.35 ERA (36 ER, 96.2 IP) in 18 games including 17 starts between High-A St. Lucie (NYM) and High-A Carolina (ATL)…acquired by Atlanta in a trade with New York-NL on July 24 and made three starts with the Mudcats, going 1-2 with a 3.29 ERA (5 ER, 13.2 IP)…on disabled list on Aug. 11 and missed remainder of season following bilateral patella tendon repair surgery, performed by Dr. Marvin Royster on 8/17 in Atlanta, GA.
Made 11 appearances including 10 starts with A Savannah, going 9-1 with 2.01 ERA (14 ER, 62.2 IP) and striking out 53…on disabled list on May 3-July 21 and had a threegame rehabilitation stint with GCL Mets…despite pitching in just 14 games, his nine wins were T10th-most among all Mets farmhands, while his 0.990 WHIP was 4th-best in the system (min. 50 IP)…played in Arizona Fall League. Named by Mets as Sterling Award winner for Rookie Kingsport after going 3-2 with a 1.87 ERA (15 ER, 72.1 IP) in 12 starts…led Appalachian League in innings and opponents batting average (.187, 50x268), was second in strikeouts (76) and WHIP (.926). Made just one appearance in his professional debut with A Kingsport (1.0 ShO IP). March 5, 2019 RHP Rob Whalen retired. September 5, 2018 Seattle Mariners sent RHP Rob Whalen outright to Tacoma Rainiers. September 1, 2018 Seattle Mariners designated RHP Rob Whalen for assignment. August 25, 2018 RHP Rob Whalen assigned to Arkansas Travelers from Everett AquaSox. August 13, 2018 RHP Rob Whalen assigned to Everett AquaSox from Tacoma Rainiers. July 16, 2018 Tacoma Rainiers activated RHP Rob Whalen from the 7-day disabled list. July 6, 2018 Tacoma Rainiers sent RHP Rob Whalen on a rehab assignment to Everett AquaSox. June 25, 2018 Tacoma Rainiers placed RHP Rob Whalen on the 7-day disabled list. June 18, 2018 Seattle Mariners optioned RHP Rob Whalen to Tacoma Rainiers. June 14, 2018 Seattle Mariners recalled Rob Whalen from Tacoma Rainiers. March 19, 2018 Seattle Mariners optioned RHP Rob Whalen to Tacoma Rainiers. October 26, 2017 Rob Whalen roster status changed by Seattle Mariners. October 2, 2017 Seattle Mariners recalled RHP Rob Whalen from Tacoma Rainiers. October 2, 2017 Seattle Mariners placed RHP Rob Whalen on the restricted list. July 8, 2017 Seattle Mariners placed RHP Rob Whalen on the restricted list. June 22, 2017 RHP Rob Whalen assigned to Tacoma Rainiers from Arkansas Travelers. June 22, 2017 Tacoma Rainiers placed RHP Rob Whalen on the 7-day disabled list. June 18, 2017 Seattle Mariners optioned RHP Rob Whalen to Arkansas Travelers. June 17, 2017 Seattle Mariners recalled Rob Whalen from Tacoma Rainiers. May 28, 2017 Seattle Mariners optioned RHP Rob Whalen to Tacoma Rainiers. May 24, 2017 Seattle Mariners recalled Rob Whalen from Tacoma Rainiers. May 7, 2017 Seattle Mariners optioned RHP Rob Whalen to Tacoma Rainiers. May 6, 2017 Seattle Mariners recalled Rob Whalen from Tacoma Rainiers. April 27, 2017 Seattle Mariners optioned RHP Rob Whalen to Tacoma Rainiers. April 27, 2017 Seattle Mariners reassigned RHP Rob Whalen to the minor leagues. March 31, 2017 Seattle Mariners placed RHP Rob Whalen on the 10-day disabled list. Right shoulder inflammation. November 28, 2016 Atlanta Braves traded RHP Max Povse and RHP Rob Whalen to Seattle Mariners for RF Alex Jackson and Player To Be Named Later. November 4, 2016 Atlanta Braves activated RHP Rob Whalen from the 60-day disabled list. September 17, 2016 Atlanta Braves transferred RHP Rob Whalen from the 15-day disabled list to the 60-day disabled list. Right shoulder fatigue. August 25, 2016 Atlanta Braves placed RHP Rob Whalen on the 15-day disabled list. Right shoulder fatigue. August 3, 2016 Atlanta Braves selected the contract of RHP Rob Whalen from Gwinnett Braves. July 14, 2016 RHP Rob Whalen assigned to Gwinnett Braves from Mississippi Braves. April 4, 2016 RHP Rob Whalen assigned to Mississippi Braves from Carolina Mudcats. September 28, 2015 Carolina Mudcats activated RHP Rob Whalen from the 7-day disabled list. August 13, 2015 Carolina Mudcats placed RHP Rob Whalen on the 7-day disabled list. July 25, 2015 RHP Rob Whalen assigned to Carolina Mudcats. July 17, 2015 St. Lucie Mets activated RHP Rob Whalen from the 7-day disabled list. July 2, 2015 St. Lucie Mets placed RHP Rob Whalen on the 7-day disabled list. April 3, 2015 RHP Rob Whalen assigned to St. Lucie Mets from Savannah Sand Gnats. July 21, 2014 Savannah Sand Gnats activated RHP Rob Whalen from the 7-day disabled list. July 5, 2014 Savannah Sand Gnats sent RHP Robert Whalen on a rehab assignment to GCL Mets. May 2, 2014 Savannah Sand Gnats placed RHP Robert Whalen on the 7-day disabled list. Hand infection. March 30, 2014 RHP Robert Whalen assigned to Savannah Sand Gnats from Kingsport Mets. August 25, 2012 RHP Robert Whalen assigned to Kingsport Mets from Brooklyn Cyclones. June 16, 2012 Robert Whalen assigned to Brooklyn Cyclones. 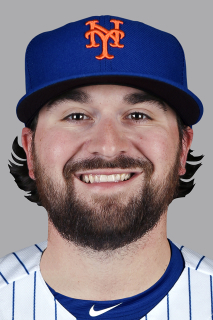 June 15, 2012 New York Mets signed RHP Robert Whalen.